In reality time does not exist. Life can be compared to a movie, which can be run backwards or forwards. The action on the screen may cover years, decades, or centuries in the past or future, but in the projection booth, everything is happening right now. In God, everything goes on in the present. The secret of happiness is to live fully in the here and now, aware of God’s bliss. Unfortunately, very few people even attempt to live in the present. Most live in the past, filled with nostalgia or regrets, or in the future, filled with hopes or fears born of desire. More than any other factor, desires and attachments, by keeping people focused on the past or future, prevent them from living fully in the present. All at once, he sees a beautiful bird perched on a tree limb just above his head. “If only I had a camera!” the man thinks. “I could catch this image on film and have it with me forever!” Although sudden, this desire begins to settle in his heart. The strength of this desire gradually grows until, at last, by scrimping and saving, the man has enough money to buy a camera. With his desire for a camera fulfilled, the man now asks himself, “What new object can I possess?” Already he has seen different kinds of useful attachments for his camera. Should he buy one of those or should he buy one of the newer cameras with more advanced features? The satisfaction of one desire has set in motion a tendency in him to seek happiness by fulfilling other desires. No longer is he able to live in the present. Desires keep him living in a future that forever recedes. Life does not prepare us to be non-attached. If you think you are non-attached, but when something you own is suddenly smashed beyond repair and you grieve for it, you may be sure that you were attached to it. My Master, Sri Yukteswar, said to me, “You will tire of everything but the joy of God. When you realize that God is with you every minute, then that sparkling, bubbling, refreshing spring of joy will be yours.” And you realize that, in this joy, you have found that “something else” you were seeking through the labyrinthine byways of false desires. Even to live your best each day is not the deepest teaching, for today belongs to the flow of time, whereas perfect joy and awareness lie beyond time, in the eternal present. It is important, therefore, to learn to live behind the scenes of relative time, in the unchanging present. Only by living properly right now, at the changeless center of each moment, can you arrive at a point of complete inner freedom. From the time I met my Master, I experienced in my heart a continuous, ever-increasing song of devotion for God. And when my song reached its peak, I experienced my oneness with Spirit and realized I was beyond time and space. I then understood that all the past scenes of my life were happening in the eternal present, and no longer could I grieve about loved ones who had left this world. They are all ever-present in God. 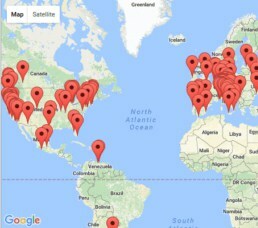 I can still see them wherever they are. The Self-realized yogi watches his childhood, youth and old age as though they were movies. After death his body passes through another change, but he himself, being always concentrated inwardly upon his true Self, is not limited by time. It is not enough for you to believe that God is beyond time and space. You are also beyond time and space, and if you concentrate on your soul, you will realize that the change of the body at death is as simple as changing an old garment for a new one. You don’t grieve about the loss of the old garment when you put on a new one. 1. Meditate regularly: The soul is bound to the body by desires, temptations, and worries, and you are trying to break through those chains. Meditation enables you to calm the ripples of desires on the lake of your mind and to experience the joy which is hidden within you. By meditating and concentrating within, you will become more conscious of your soul and less identified with your physical form. Eventually you will reach a point when you are no longer disturbed by life’s ups and downs, and you will begin to realize the truth of your soul-nature: that you are not limited by time and space. You will begin to realize that you are one with the Eternal Spirit. 2. Show appreciation: Always bear in mind that this universe has a divine origin. It would be a mistake to hate this world with the rationale that you love God alone. Renunciation is essential on the spiritual path. Its purpose, however, is to help you overcome attachment to desires and temptations, not to prove your love for the Creator by abhorring His handiwork. You should appreciate the world as God’s creation, but then remind yourself how much more worthy of appreciation is the Creator, who brought all of these material wonders into manifestation. 3. Fulfill your duties: Always, whatever you are doing, think that you are doing God’s work. Each day say, “What can I do for God today?” To fulfill your duties in life may not be easy or immediately enjoyable. Attaining divine joy is a long-term proposition, but if you would attain freedom in eternity, you must discharge your duties in life, and not avoid them. Do your best today and forget tomorrow. Do not harass your soul with petty worries. 4. Disown things from your heart: Nothing belongs to you and everything belongs to you, but once you say, “This is mine,” you have limited yourself. Never grieve for anything that is taken. Maybe in this life you will lose all things and yet, when you have God, you have everything. There is no limitation to what you can get. Enjoy the things you have, take care of them, but always try, in your heart, to disown them. It is very liberating to be able to disown all things in your heart. 5. Transcend age-consciousness: Never think of yourself as getting old. In the divine consciousness, there is nothing called “old” and nothing called “young,” only the eternal present. The Self-realized yogi watches his childhood, youth, and old age as though they were movies. He is able to see all those who have left this earth, relatives and friends, wherever they are, because they are ever-present in God. These images appear before his inner gaze because past, present, and future are nothing but pictures in space. As he grows indifferent to the illusive consciousness of past and future, he develops eternal mental youthfulness. 6. Be even-minded at all times: Try always to keep a calm mind. An even-minded individual is like a mirror of discretion which reflects the true nature of seemingly favorable or unfavorable events. Such a person is not misled by emotional disturbances and is always prepared to act wisely. 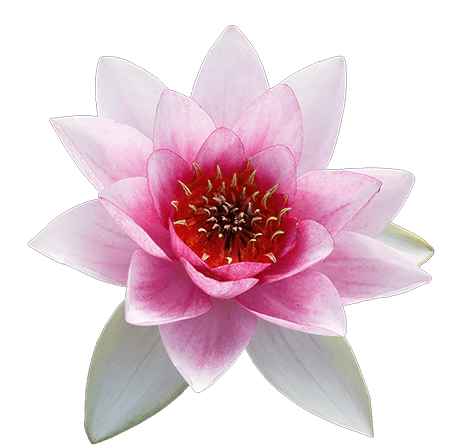 You will gain this unruffled calmness by deeper and deeper meditation. “Before Abraham was, I am.” In the above-quoted words, Jesus announced that in his consciousness there were no divisions of past, present, and future. Jesus did not say, “Before Abraham was, I was.” He said, “Before Abraham was, I am,” meaning that there is no time or space when he is not present. Jesus, like all great masters who have awakened in God and forsaken the cosmic dream, had realized that time and space existed only in the imagination of God and, though temporarily real, were essentially unreal. Jesus, being one with God, was able to say, “Before Abraham was, I am.” Any Christlike soul who attains the omnipresent Christ Consciousness finds his consciousness evenly present in the past, present, and future. You can also say, “I am,” but because you confuse yourself with the little body, you think you are limited by time and space. If your goal in life is spiritual victory, grieve not over what you have failed to accomplish so far. Concentrate all your energy on the present. Sooner or later your efforts will be crowned with glory. From books, lessons, and articles. I love this truth. 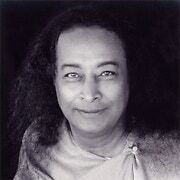 And I love my older brother and teacher, Yogananda. 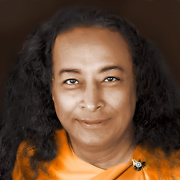 I have loved him since finding Autobiography of a Yogi in a thrift store around 18 years ago, and he has helped me in my spiritual path ever since. Thank you for producing clarity magazine. It is beautiful. 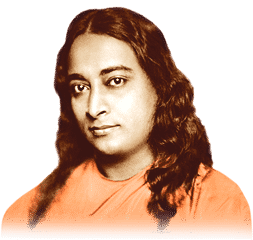 Whenever I read these articles I feel like I got connected with Yogananda Ji. His divine energies flows towards me even after not being a disciple of him . Thank you so much for posting these articles & keep us updated. This article helps you to find the real focus in life. I hope to put into practice at least a few points to begin with. Thanks for such a lovely message.